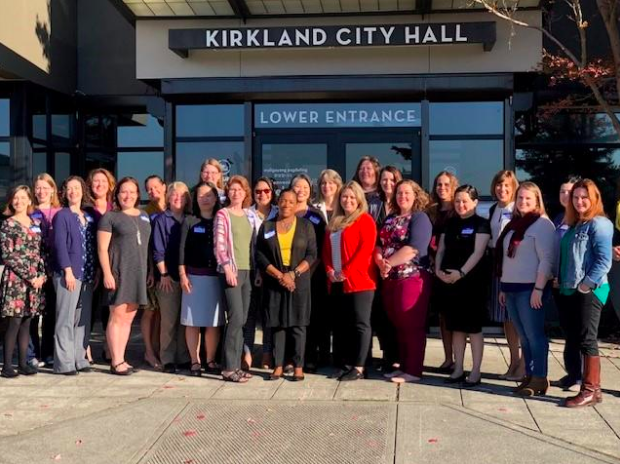 Provide opportunities for women from diverse backgrounds and experience to obtain the core skills necessary to move into local government leadership roles. The classes are being taught by academics, professional trainers, as well as local government practitioners and are held at various municipal and community college settings around the Puget Sound region, which aids in keeping the registration fee within reach for most attendees. To further remove financial barriers, scholarships are available and several WCMA members have offered their home to visiting participants coming from long distances. The Class of 2019 will graduate from the Academy in June 2019.